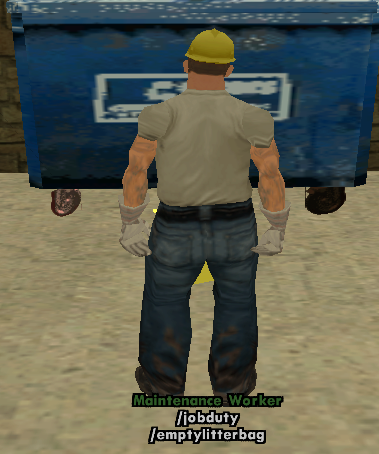 Summary There are many ways to earn money in RCRP for your character, one of them includes jobs. Jobs can be done to earn good money and allows the interaction between players. Maintenance Worker - Per Payday: $250. To pursue a career in any of the jobs mentioned, the In-Game level of your character is required to be level 2+. The taxi job is located inside the Red County Information Center at Montgomery. 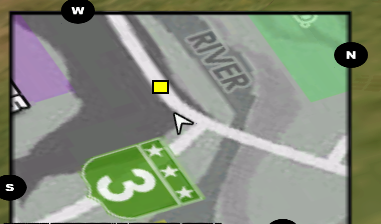 As you enter the Red County Information Center, you will see a yellow wall display saying "CABBIE CO."
At the floating brown briefcase icon, you can type out the command /getjob to get the job. Any of the vehicles mentioned above can be purchased from the Dillimore Automotive Dealership. Preferable to purchase used from another player. After obtaining the job using the command '/getjob confirm' from the job spot mentioned above, you have access over to the job's commands which is listed on '/help job'. /jobduty ['on' or 'off'] - On-Duty/Off-duty toggle command. To execute the other commands available for a taxi driver, this is required. /meteron - To activate the meter, so the fare will increment depending on the distance. The command is only being executed if the hotline caller is present inside the vehicle as a passenger. /meteroff - To deactivate the meter, so the fare will no longer increment and will pause at the amount incremented since the command was executed. /forcefare - This command is required to be used when a random individual hails and enters the vehicle as a passenger(Not a caller) who needs a lift. After typing out the command, /meteron is required to activate the meter. /cancelfare - This command is used to cancel an on-going fare whether it's a caller or not. After this command is used, no money will be absorbed from the fare. /setfare [0-25] - To set the amount you want your fare to be incremented by. /myfare - To check the current amount set for your fare to be incremented by. /clearcaller [ID] - This command is used to clear a caller by ID who is indicated on the map. When you type '/jobduty on'. A message is being publicly announced for the players which represent that your character is on taxi-duty and they can contact the taxi hotline if they require transportation from A to B. Players will contact the Cabbie Corporation using the hotline, 444. When they do, all the on-duty taxi drivers will have this message. When this message is being announced to all the available on-duty taxi drivers, the dispatcher's location will be updated on your minimap. When the dispatcher enters your vehicle, you will receive a confirmation message and a reminder to activate the fare using the command /meteron. When the player enters the vehicle, you can ask for his drop-off location IC'ly and start transporting to their said location - During the journey, you can interact with the passenger and socialize. After arriving at your passenger's location and they exit your vehicle. They'll automatically pay you the fare they owed for the journey. 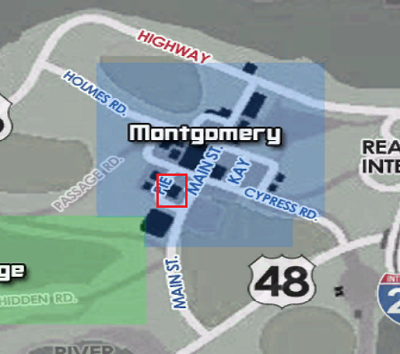 The checkpoint on the map is the caller and not the waypoint where the call was originated at. If you feel that the caller is moving with an alternative method of transportation or forgot to /canceltaxi. You can use the command '/clearcaller [ID]'. As mentioned above any four-door vehicle can be used for the job. Any vehicles (excluding the taxi and cabbie) consisted with four-doors require the taxi sign from /vattachments - A guide regarding /vattachments can be found here. Above is a perrenial. 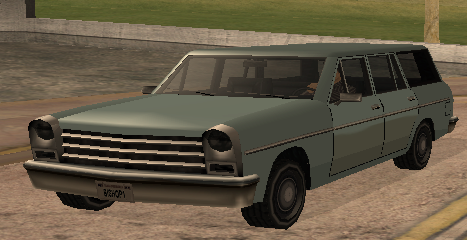 This vehicle is being used for the taxi job - In order for that to happen, there should be a taxi sign mounted on top of it. '/jobduty on' will not work unless there's a taxi sign mounted on the vehicle. When you have done opening /vattachments and chosen the slot you want to use for the taxi sign, you will see the list of /vattachments that are compatible with your vehicle. You will need to go to page three on the list, and you will spot the two available taxi signs. One is the regular taxi sign and the other is the Black taxi sign. 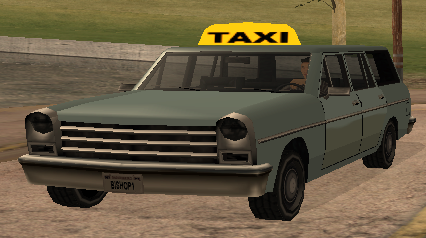 After selecting any of the two taxi signs, you will have to re-position them. If you're having problems re-positioning them or confused with the system, simply follow this guide. 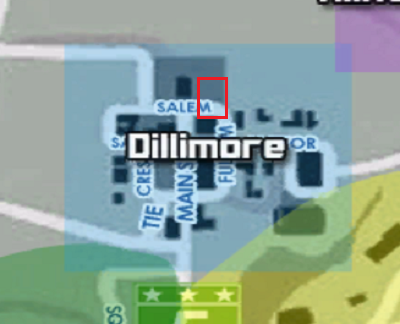 The mechanic job is currently located at the Dillimore Repair Garage. Near the yellow 'i' icon where /repair command is being used, you will see a floating briefcase icon. There you can obtain the mechanic job using the command /getjob. To pursue a career as a mechanic, a vehicle is not compulsory. Although, the suggested vehicle is mainly the tow-truck which can be purchased for $35,000 from the Dillimore Automotive Dealership. The reason as to why the tow-truck is not compulsory is because the majority of the features the job hold doesn't require one. /spray or /colorcar - This command is used to change the vehicle's color from the driver seat of the vehicle. /offerspray - This command is used to offer a change of colour for the vehicle from the owner - For this, the mechanic should have entered as a passenger and the driver should be present at the driver seat. /repair - This command isn't restricted to mechanics anymore. Owner of the vehicle can type out the command at any repair garage to have their vehicle repaired. Mechanics cannot repair the vehicle, they can only tow them to repair garages. /nos - This command is used to install a nitrous system on the vehicle. It costs $50 to install. Few lines of RP have been provided below for mechanics to use when installing the nitrous system. /hyd - This command is used to install Lowrider Hydraulics to your vehicle. It costs $500 to install. Few lines of RP have been provided below for mechanics to use when installing the hydraulic system. /tow - This command is used to attach the vehicle onto the truck's hook. /detach - Command used to detach the vehicle. /viewmechaniccalls - This command is used to browse through all the pending mechanic calls. /clearmechaniccall - This command is used to clear a caller from /viewmechaniccalls. Similar to the taxi job, there isn't any command publicly announce whether you are on-duty or not. Whenever you are a mechanic and in-game, you are considered on-duty. You will randomly get notifications whenever someone contacts the mechanic hotline. Such as the one below. To further browse the caller's information, the command /viewmechaniccalls needs to be inputted. Upon typing out the command, you will have access to the caller's phone number and the service they require. A tow-truck isn't necessary for services such as Oil change, respray, installing a nitrous system, installing hydraulics. A tow-truck is mainly required when there are calls asking for a vehicle tow - This is one of the most common services required by the players. The Maintenance Worker job is currently located at the Palomino Creek Recycling Center. In front of the Recycling Center's gate, the job point will be visible. Type /getjob at the floating brown briefcase icon to obtain the job. /jobduty ['on' or 'off'] [work clothes 1/2/3/4] - To go on duty or off-duty. You cannot change clothes until you go off-duty after you are on-duty. /checklitterbag - Used to check how much litter you have collected and how much it's worth recycling. /emptylitterbag - The command is used to recycle the litter collected and empty the bag. /picklitter - Used to collect the litter and store it in your garbage bag. To start the job, you will need to go on-duty. 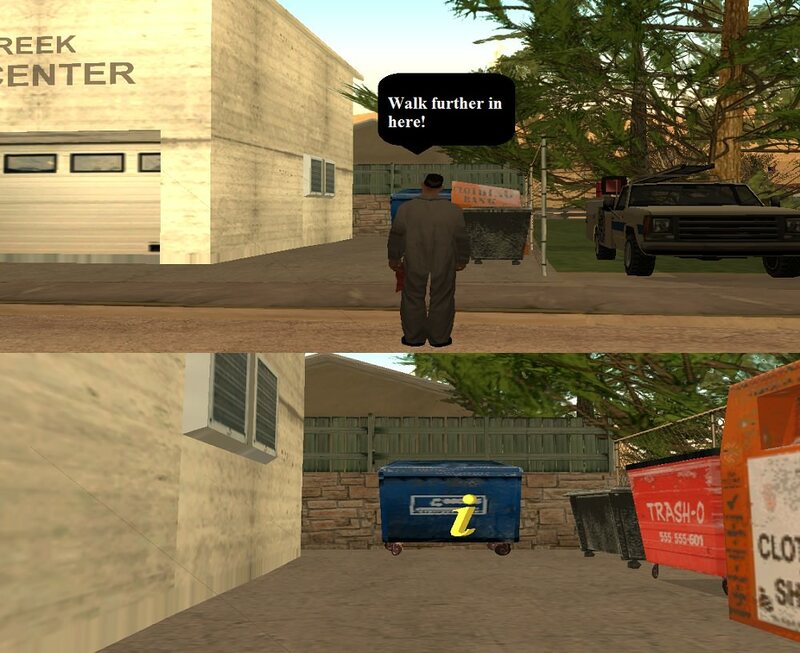 For that, you will need to walk into the alley beside the Recycling Center. As you further go in, you will spawn the yellow 'i' icon. After you go on-duty, you can start collecting the litter scattered around the pavements of the County, that includes Bone County as well using the command /picklitter. Below will be a list of garbage. Whenever you encounter any of those types of litter on the pavements. Use the command /picklitter to collect them into your bag. 31 is the maximum amount of garbage the bag can hold. Each piece of litter is worth a substantial payment of $10. After you collect 10 pieces of litter, you will receive a bonus payment of an additional $100. When you're done collecting 31 pieces of litter, you will be notified that your litter bag is currently full. To empty your litter bag, you will need to return back to the Palomino Creek Recycling Center. At the job-duty spot, you can type out the command /emptylitterbag and empty it.